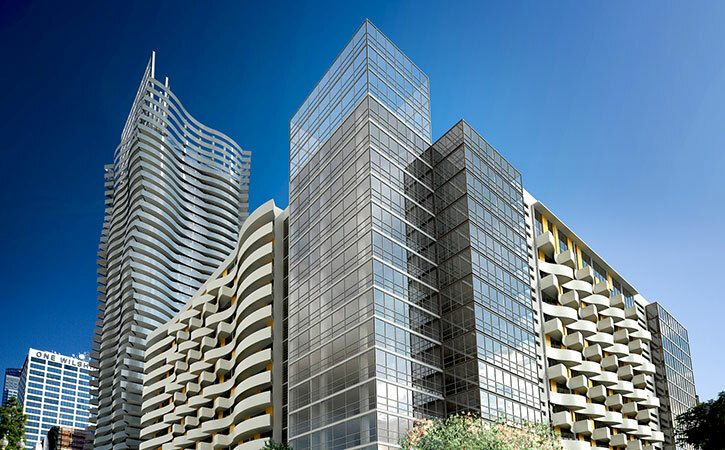 This 1.2 million square foot project in Downtown Los Angeles is planned for 3 phases. Phase I includes 435 residential units in 15 story towers that wrap an 8 level parking structure; 20,000 s.f. of ground floor retail; a 32,000 s.f. amenity deck above the parking and basement storage for residents. 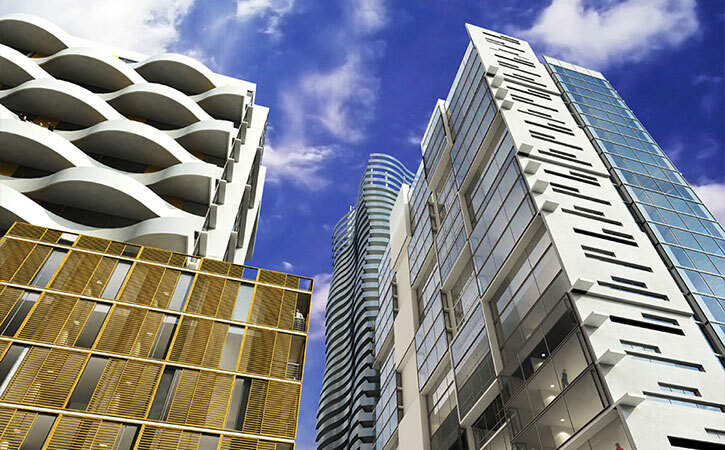 Phase 2 & 3 complete the project and include 440 residential units within 42 and 22 story towers. 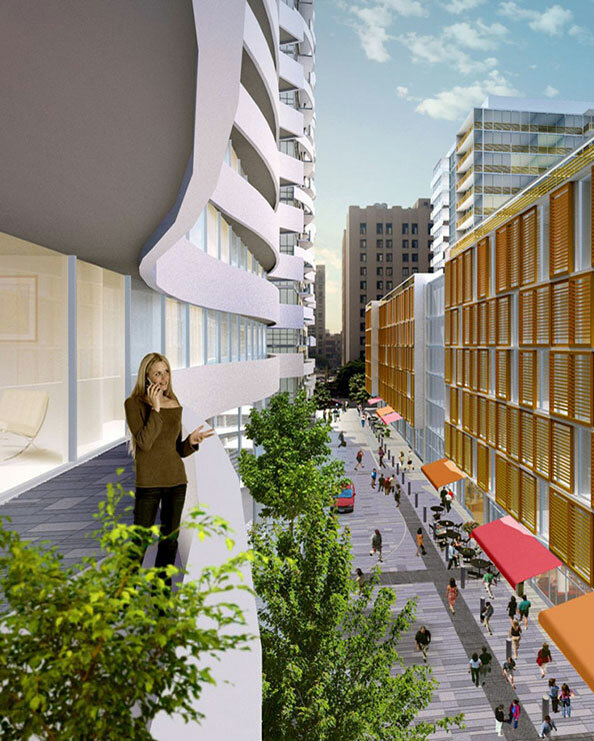 These phases also complete the project ground plane with the construction of a pedestrian through-block link which will be energized with adjacent retail.